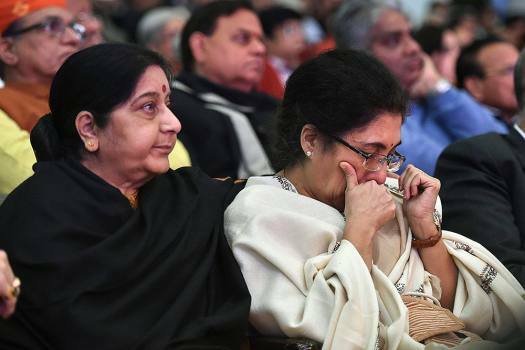 Minister for External Affairs Sushma Swaraj with Tejaswini Ananth Kumar at a condolence meeting organised for the late Union minister Ananth Kumar, in New Delhi. 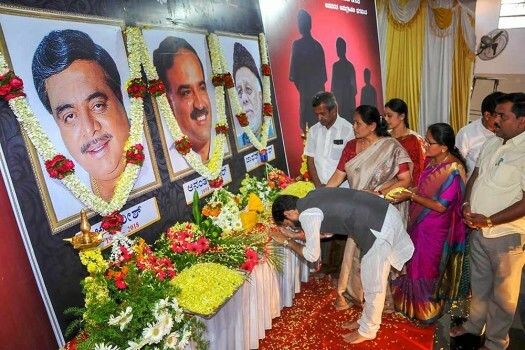 BJP leaders pay tribute to former union ministers Ananth Kumar, Ambreesh and CK Jaffer Sharief during a prayer meeting, in Chikmagalur. 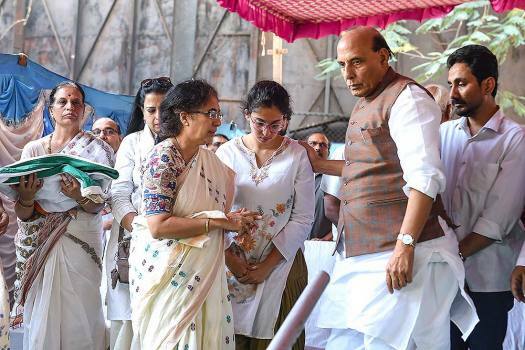 Union Home Minister Rajnath Singh consoles the family of late Union minister Ananth Kumar after his last rites, in Bengaluru. 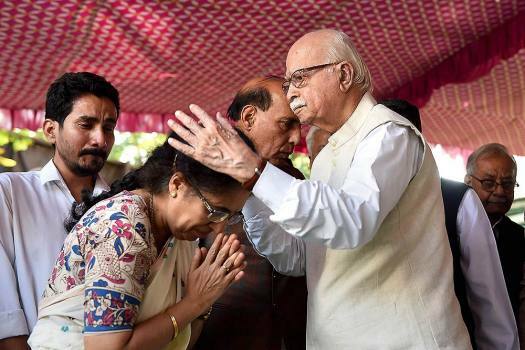 BJP senior leader L K Advani consoles Tejaswini Ananth Kumar, wife of late Union minister Ananth Kumar after his last rites, in Bengaluru. 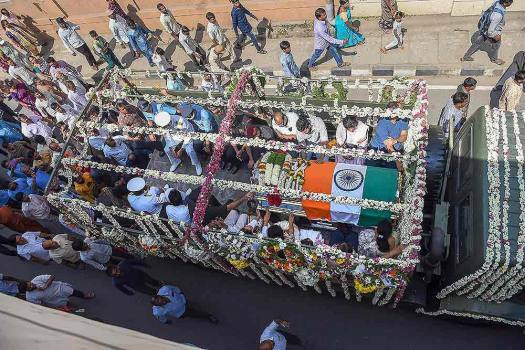 The mortal remains of the late Union minister Ananth Kumar being carried in a decorated lorry for the last rites, in Bengaluru. 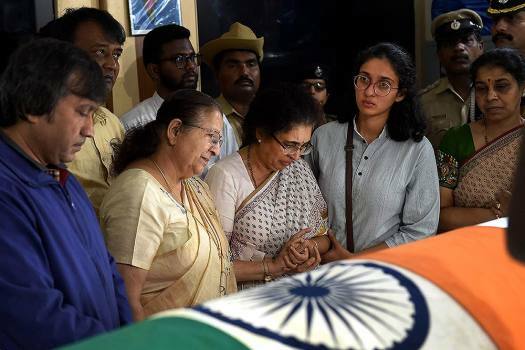 Union minister Ananth Kumar's wife Tejaswini Ananth Kumar, daughters Aishwarya and Vijetha, and senior BJP and RSS leaders during the his last rites in Bengaluru. 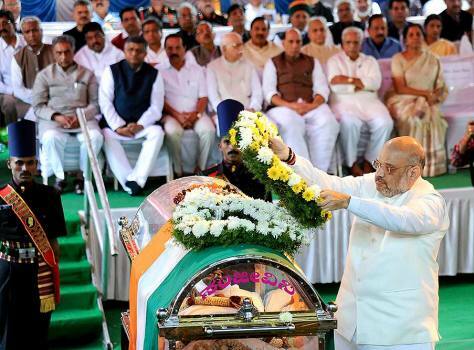 BJP National President Amit Shah lays a wreath on the mortal remains of late Union minister Ananth Kumar during his last rites, in Bengaluru. 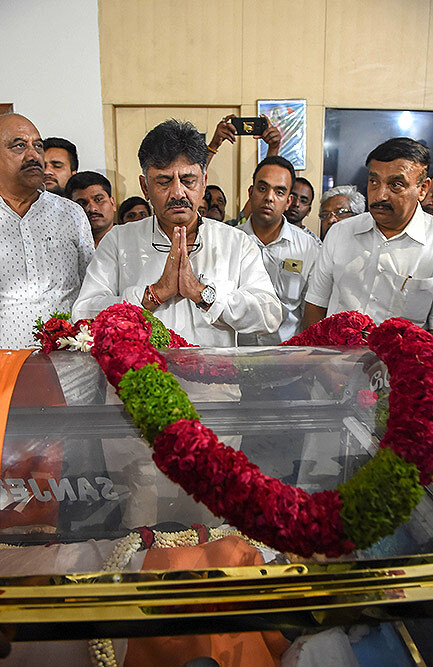 Karnataka minister D K Shivakumar pays his last respects to Union Parliamentary Affairs Minister Ananth Kumar in Bengaluru. 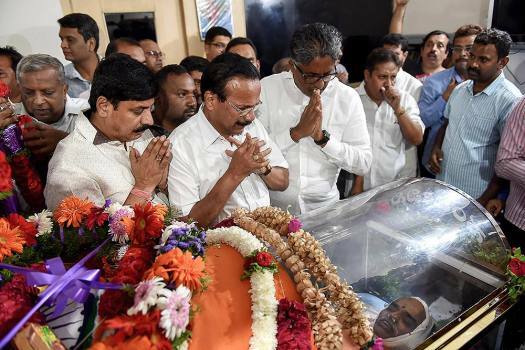 Union Minister Sadananda Gowda pays his last respects to Union Parliamentary Affairs Minister Ananth Kumar in Bengaluru. 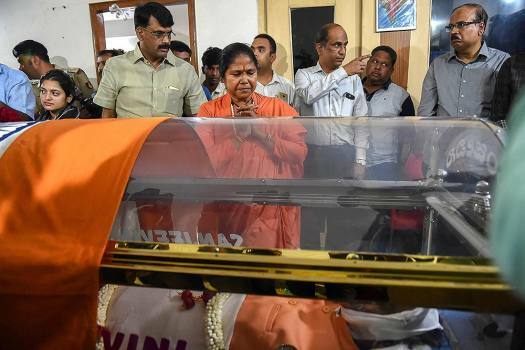 Union Minister of State Niranjana Jyoti pays her last respects to Union Parliamentary Affairs Minister Ananth Kumar in Bengaluru. 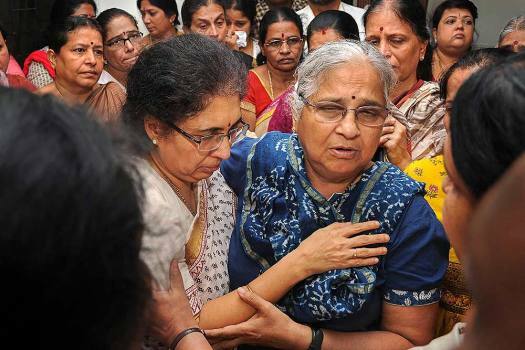 Loksabha Speaker Sumitra Mahajan offerd her condolences to the wife Tejaswini Ananth Kumar and daughter Vijeta of Union Parliamentary Affairs Minister Ananth Kumar in Bengaluru. 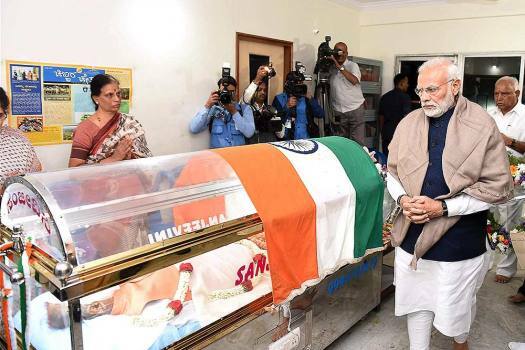 Prime Minister Narendra Modi pays his last respects to Union Parliamentary Affairs Minister Ananth Kumar in Bengaluru. 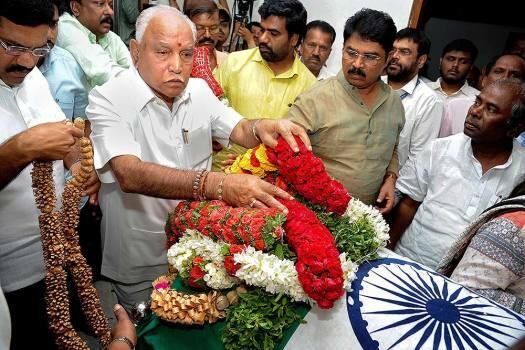 Karnataka BJP President B S Yeduyurappa pays his last respects to Union Parliamentary Affairs Minister Ananth Kumar in Bengaluru. 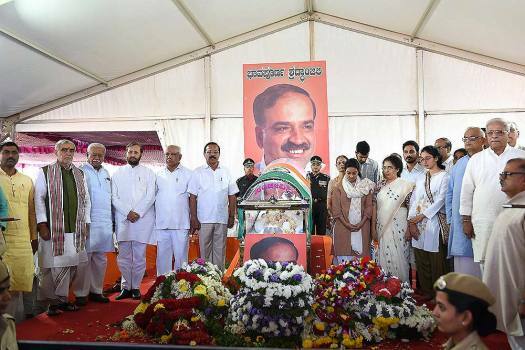 People pays their last respects to Union Parliamentary Affairs Minister Ananth Kumar in Bengaluru. Bangalore's three urban seats kindled much suspense and speculation. 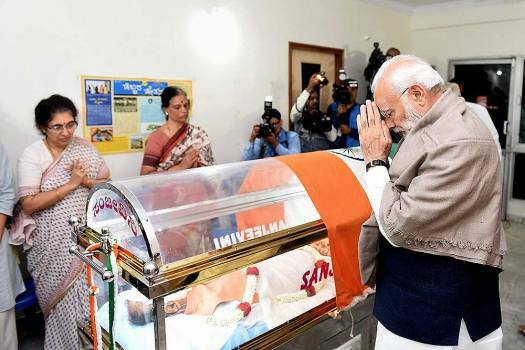 PM Modi flew from Varanasi to Bengaluru on Monday night to pay his last respect to Union Minister Ananth Kumar. 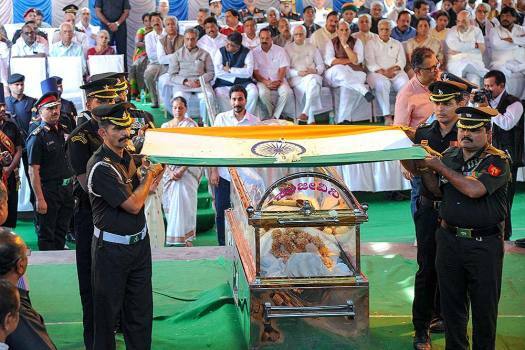 Union Parliamentary Affairs Minister and BJP leader Ananth Kumar died at a private hospital in the early hours of Monday after battling lung cancer for several months. He was 59. 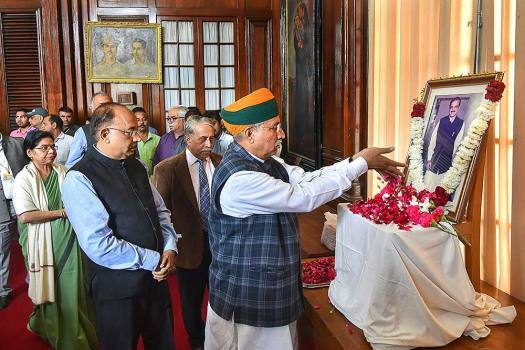 Known for his political adroitness, Kumar, a six-time MP, had managed to be in the inner circle of the central leadership of the BJP -- be it during the heyday of Vajpayee or Advani and now Modi. 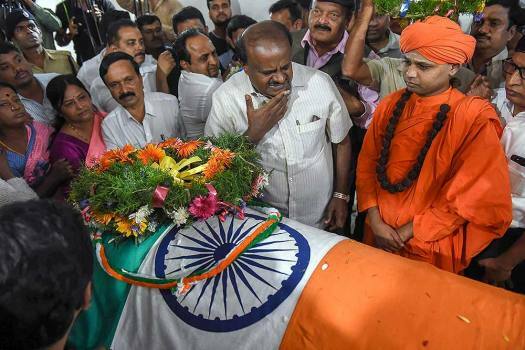 The Centre announced to fly the National Flag at half mast throughout the country to honour Late Union Minister Ananth Kumar. 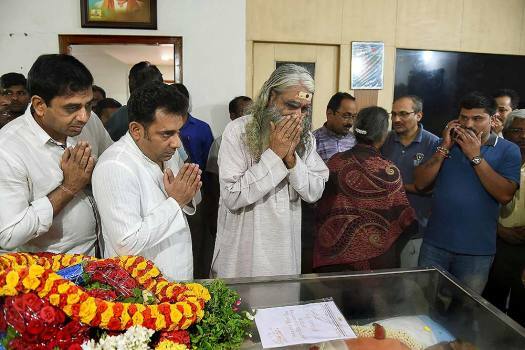 Kumar, 59, died at a private hospital in Bengaluru in the early hours of Monday after battling lung cancer for several months. Deputy Chief Minister G Parameshwara had alleged that Karnataka was losing key defence projects to other states under the National Democratic Alliance (NDA) rule. 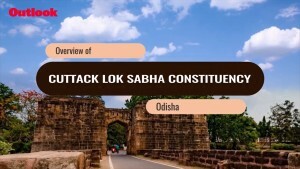 "Hon'ble Prime Minister has stated that the state governments must deal sternly against anti-social elements that create violence in the name of cow protection," Hansraj Gangaram Ahir said.